Pun for the Road: Puzzle Drinks! For years now, we’ve been collaborating on puzzle-themed hashtag games with our pals at Penny Dell Puzzles, and this month’s hook was #PennyDellPuzzleDrinks, mashing up Penny Dell puzzles with beverages, drinks, thirst-quenchers, and aperitifs, both alcoholic and nonalcoholic! Examples include: HopScotch, Mojito-at-a-Time, and Sunrays-D.
Two Puzzly Drinks for the Price of One! Hey bartender, Fill ‘Er Up! Are we going to get Scorecarded for ordering any of these drinks? Candy is dandy, but liquor is Quicker Quotes. 99 Bubbles of beer on Quotefalls, 99 Bubbles of beer, you take 1 Down, pass it In and Around, 98 Bubbles of beer on Quotefalls . 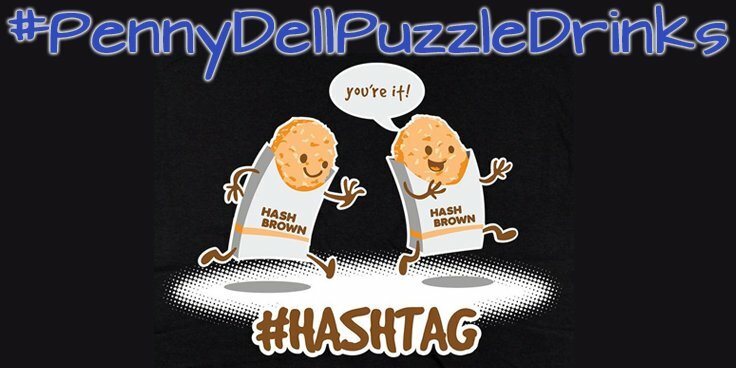 . .
Have you come up with any Penny Dell Puzzle Drinks entries of your own? Let us know! We’d love to see them!